The annual Clash of the Titans events feature academics and notable alumni from the top three economics departments in the country (Oxford, Cambridge, and LSE) giving their forecasts for what will happen to the UK economy as we head towards Brexit. The Economic Research Council was delighted to host its 7th annual Clash of the Titans economic forecasting event, which was once again kindly supported by PwC. Representing Oxford, was Prof. Patrick Minford, for Cambridge Julian Jessop and LSE’s predictions were placed by Andrew Sentance. We shall track their performance over the course of the following year, and we’ll announce the winner at next year’s Clash. You can see the performance of last year’s Titans, as well as members of the general public, by clicking here, and there is a list of all the previous winners here. Below are this year’s Titans’ biographies and their predictions. At the bottom, you can see who is in the lead. 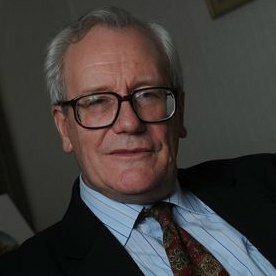 Patrick Minford is a macroeconomist who holds the chair of Applied Economics at Cardiff University where he directs the Julian Hodge Institute of Applied Macroeconomics. Before academic life he was an economic adviser to Her Majesty’s Treasury’s External Division and editor of the National Institute Review. From 1976 to 1997, he was the Edward Gonner Professor of Applied Economics at Liverpool University where he founded and directed the Liverpool Research Group in Macroeconomics; this built the ‘Liverpool Model’ of the UK, which was influential in forecasting and policy analysis during the 1980s. He was a member of Monopolies and Mergers Commission 1990-96; and one of the H M Treasury’s Panel of Forecasters (‘6 Wise Men’) January 1993-December 1996. He was made a C.B.E. for services to economics in 1996. His economic interests include monetary, trade, labour market and macro economics and modelling. A vocal Eurosceptic, his recent publications include: Should Britain leave the EU? An economic analysis of a troubled relationship, (with S. Gupta, V. Mahambare, V. Le and Y. Xu) Edward Elgar, second edition, (2015). Julian Jessop has thirty years of experience as a professional economist in the public and private sectors, including senior positions at HM Treasury, HSBC and Standard Chartered Bank. Prior to joining the IEA in March he was a Director and Chief Global Economist at the leading independent consultancy, Capital Economics. Julian has a First Class degree in economics from Cambridge University and post-graduate qualifications in both economics and law. 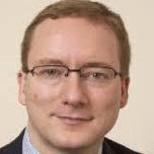 Dr Andrew Sentance is a senior business economist based in the UK, now working with PwC as their Senior Economic Adviser. Before joining PwC, he served for five years (2006-11) on the Bank of England Monetary Policy Committee (MPC), through the global financial crisis and its aftermath. Prior to joining the Bank of England, Andrew held senior positions at the CBI, London Business School and British Airways, where he was Chief Economist and Head of Environmental Affairs and advised the airline on business strategy, regulation and major policy issues. He has provided economic advice to businesses, the UK government and international institutions throughout his career, as well as being a regular contributor to the media and publishing widely in academic and business books and journals. Andrew studied economics at Cambridge University and the London School of Economics, where he gained his PhD. He is the author of a recent book – “Rediscovering growth: After the crisis” which was published in late 2013.He was awarded the CBE in the 2012 New Year’s Honours list. He is a Vice-President of the Society of Business Economists and is also a part-time professor at Warwick Business School.